"If you are looking for a new dentist this is the one!!!" "Everyone is so friendly and welcoming. They are also very thorough in their work!" "My family and I have been going here for 10 years and I've never had a better dentist." "Juli is an awesome person who cares a lot about people." "She is the BEST. I do not know what I would do without her." "Virtually pain free for a regular checkup, which is uncommon!" "Dr. Laubach always remembers me and treats me like a valued client." Welcome to Advanced Smiles Dental, P.A. Dr. Eivens and Dr. Laubach are proud to be award-winning cosmetic and general dentists in Austin, Texas who also serve the surrounding area. We are dedicated to delivering high-quality personalized care in a relaxing spa-like atmosphere designed to put you at ease. Dr. Eivens and Dr. Laubach have received numerous awards over the years including America’s Best Dentist, Texas Super Dentist, and Austin’s Best dentist and have been featured in Texas Monthly, Austin Monthly, Austin’s Best and Henry Schein’s Magazine. Dr. Eivens and Dr. Laubach offer a variety of services including teeth whitening, smile makeovers, preventive care, Cerec-one day crowns, bridges, routine maintenance, urgent care, restorative dentistry, dental implant restorations, teeth cleaning, night guards, nitrous oxide, sedation and more. Advanced Smiles Dental believes informed patients are better prepared to make decisions regarding their health and wellbeing. Dr. Eivens and Dr. Laubach will carefully listen to your concerns, be on time, and make your smile beautiful and healthy. If you are considering updating your old dental work or want a brighter more youthful smile we will be happy to see you and find the perfect plan for your needs. We can improve your teeth while transforming your smile into something beautiful and healthy. Our technology is driven by the latest and best research to make sure each patient receives the best care. We maintain the highest levels of accreditation and ongoing education to stay ahead of the latest dentistry. Please explore our website to learn more about our office and contact us to request an appointment today. We are here to serve you and give you our personal attention and care. Advanced Smiles Dental provides the best Cosmetic Dentistry around! We are proudly affiliated with the American Academy of Cosmetic Dentistry, Cerec Doctors, The Las Vegas Institute of Advanced Dentistry, The Spear Center for Advanced Dental Education, and The Academy of General Dentistry. 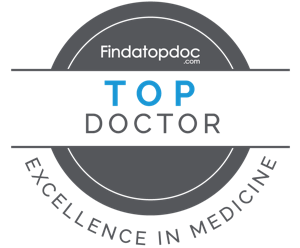 We have received numerous awards including American’s Best Dentist, Texas Super Dentist, Texas Top Dentist and Austin’s Best Dentist. Dr. Juli Eivens and Dr. Jennifer Laubach maintain the highest levels of accreditation and pursue ongoing education to stay abreast of the latest trends in dentistry. We are proud to offer E-max conservative veneers and laser whitening. Please call today for your complimentary cosmetic consultation for your smile makeover. Update your Dental Fillings and Crowns! If you have ever considered updating your old dental fillings and crowns for a healthier mouth, or just want to brighten your smile for a more youthful look, we can help. From full mouth reconstruction to basic dental checkups, our commitment to service and your total comfort will leave you smiling. Let's discuss your personal goals for your teeth and come up with a plan customized to make you feel good, and look good, for years to come. The Care you want, with financing options made easier. Advanced Smiles Dental is proud to accept Care Credit. CareCredit gives you flexibility and convenience when managing your family’s out-of-pocket healthcare expenses. It’s easy to apply for CareCredit and you’ll receive an answer almost immediately. When you’re approved, you can begin dental treatment, even before you receive your card. That’s the whole idea-to help you get the care you want without delaying. With CareCredit you can start treatment for you and your family right away and then make convenient monthly payments. Have more questions? Contact us today and we will be glad to help. Advanced Smiles Dental accepts most PPO Insurance plans. Here is a short list of some of the most popular plans we accept. Please contact us if you don't see your provider listed. We'll be happy to help. "My family and I have been going here for 10 years and I've never had a better dentist in my life." Dr. John Smith has been in practice at Advanced Smiles Dental, P.A. for over 20 years. He received his degree from the Rutgers University in 1989, and has published over 30 papers in prestigious medical journals. "Visiting Advanced Smiles Dental, P.A. gives my family and me more reasons to smile."